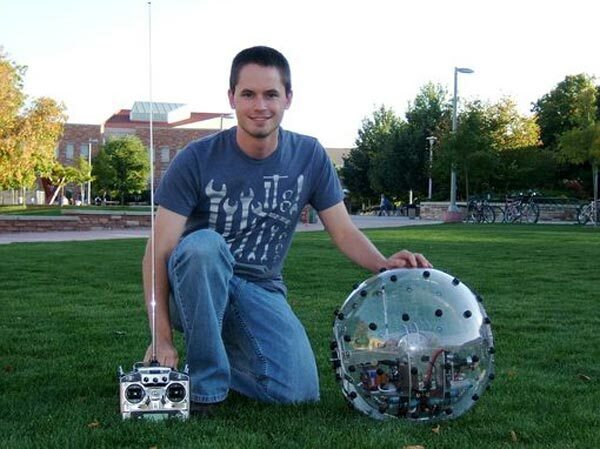 A student at Colorado State University, Greg Schroll has built a spherical robot that can climb over obstacles and navigate the toughest terrains. The Spherical Robot uses gyroscopes to drive and turn the robot by creating torque on the robot, check out the video of it in action after the jump. Head on over to Westword for more details on this cool Spherical Robot.